There are frequently discounts out there to senior citizen and small children. Discover by contacting your nearest pool in South Yorkshire. Swimia.com requirements your feedback to ensure all of the information and facts is valid, since maybe this pool is no longer open towards the public. 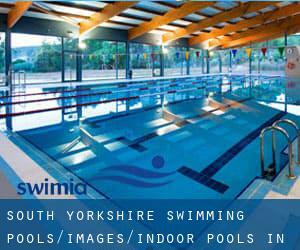 These are the Indoor Pools in South Yorkshire other users have reported. Are you a local and your pool is not listed? Contact us to ADD IT. It's free of charge! Swimia.com has the most up-to-date database about Swimming Pools. Most of the Indoor Pools in South Yorkshire supply both open lanes for independent swimming and also guided activities like water aerobics or aquabike. Water sports are growing especially in elderly population sectors who have suffered some kind of muscle or bone damage. Let us tell you a secret to switch off even though you're in Hoyland Nether: just pick out a Swimming Pool in Hoyland Nether and plunge into the water! There's no alot more effective approach. It's hard to visit South Yorkshire without dropping by Wombwell (with 15.518 residents). 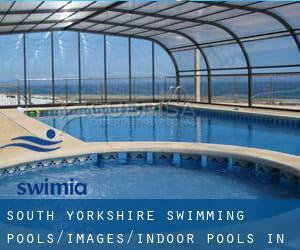 Currently Swimia is showing you all the Pool in Wombwell and also the closest pools located in its vicinity. Without a shadow of a doubt, swimming in Bentley is the greatest method to unwind following work. Take a couple of minutes to browse Swimia's catalog to find a Pool in Bentley. Aughton Road , Swallownest , England , UNITED KINGDOM (Postal Code: S26 4TF). Swimmers like you reported 25 meters, 5 lanes, Indoors. Unfortunately we do not have the e-mail address of this Swimming Pool, but we can provide you with the phone number. Barnsley Road , Dodworth , England , UNITED KINGDOM (Postal Code: S75 3JT). Among all of the activities provided by the center, if you are interested in swimming you will enjoy 20 meters x 7 meters, Indoors. Just in case you would like to get in touch with this Swimming Pool before dropping by, we only know the phone number. West Street , Hoyland , England , UNITED KINGDOM (Postal Code: S74 9EH). Swimmers like you reported 25 meters x 10 meters, Indoors. Phone number and e-mail address are number for this Swimming Pool. Station Road , Royston (South Yorkshire) , England , UNITED KINGDOM (Postal Code: S71 4EQ). Among all the activities provided by the center, should you be thinking about swimming you can enjoy 25 meters x 10 meters, 4 lanes, Indoors. If you have to contact this Pool, email address and phone number are both number.